A new search for the world’s best healthcare innovations to help improve patients’ lives has been launched, focussing on key NHS priorities including mental health, primary care, and urgent and emergency care. • Mental health: To ensure that people at risk of or experiencing mental health problems can rapidly access effective and convenient care and support. • Urgent and emergency care: To provide highly responsive, effective and personalised solutions for people with or at risk of developing urgent and emergency care needs. • Primary care: To support and strengthen primary care in its aim to ensure high levels of quality, satisfaction and timely access to diagnosis and treatment as close to home as possible. 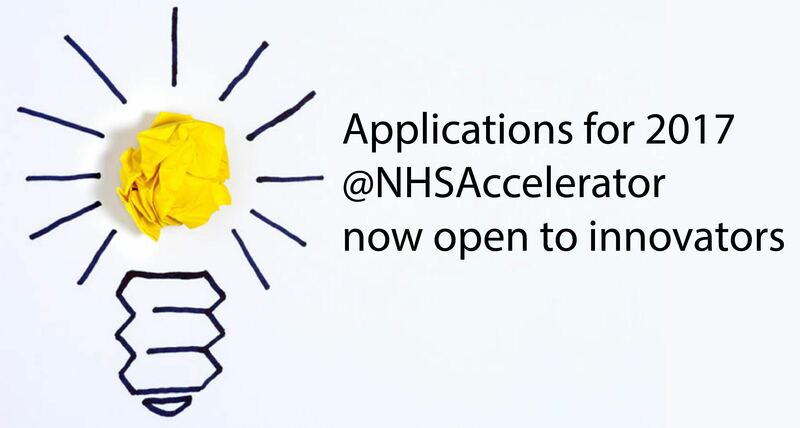 The NIA aims to accelerate uptake and spread of high-impact innovations across England’s NHS. In its first 20 months, the accelerator has supported 25 Fellows to deliver uptake of innovations in 469 additional NHS organisations; with over £28M raised in external funding, 51 jobs created, 14 awards won, and ten innovations selling internationally. The third annual call, open until 26 July 2017, aims to recruit up to 12 new Fellows. These Fellows will be exceptional individuals with a passion and commitment for scaling innovation for greater patient benefit, and for sharing their learnings widely.